After years of trials, retrials and appeals galore, Samsung on Thursday said it has agreed to pay Apple $548 million for infringing on the Cupertino, Calif., company's patents. In a jointly filed case management statement submitted to the U.S. District Court for the Northern District of California, Samsung said it "has made arrangements" with Apple to complete a damages payment totaling $548,176,477. Payment will take place ten days after Apple sends an invoice, which translates to Dec. 14 if the document is delivered by Dec. 4 local Korea time. As noted by FOSS Patents' Florian Mueller, who first spotted the filing, Samsung's actions prior to Thursday's statement suggested the company would move forward with a Supreme Court appeal related to the first Apple v. Samsung judgment. While it plans to pay up, Samsung is reserving the right to reimbursement if judgment is reversed, modified, vacated or otherwise changed in its favor. This includes, the company contends, results of any USPTO Patent Trial and Appeal Board actions and Supreme Court petitions. 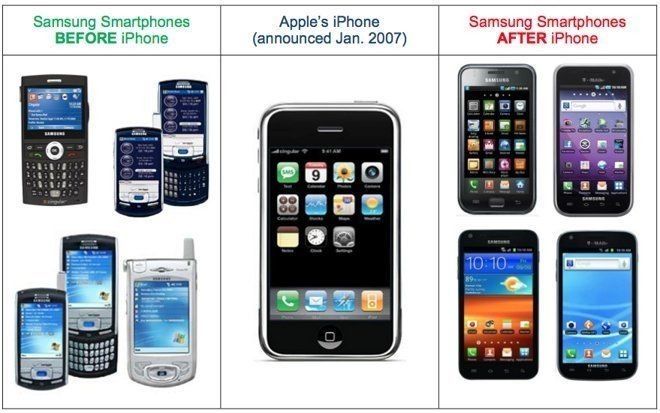 The validity of Apple's '915 patent for pinch-to-zoom functionality is currently under scrutiny by the PTAB, while Samsung in August voiced intent to argue design patent claim and construction in front of the Supreme Court. For its part, Apple disputes Samsung's claim to reimbursement rights. Thursday's announced payout is tied to Apple's first California patent infringement suit against Samsung, which ultimately found the Korean company on the hook for $1.08 billion in damages. A subsequent partial retrial and successful CAFC appeal eroded that initial amount to $548 million.